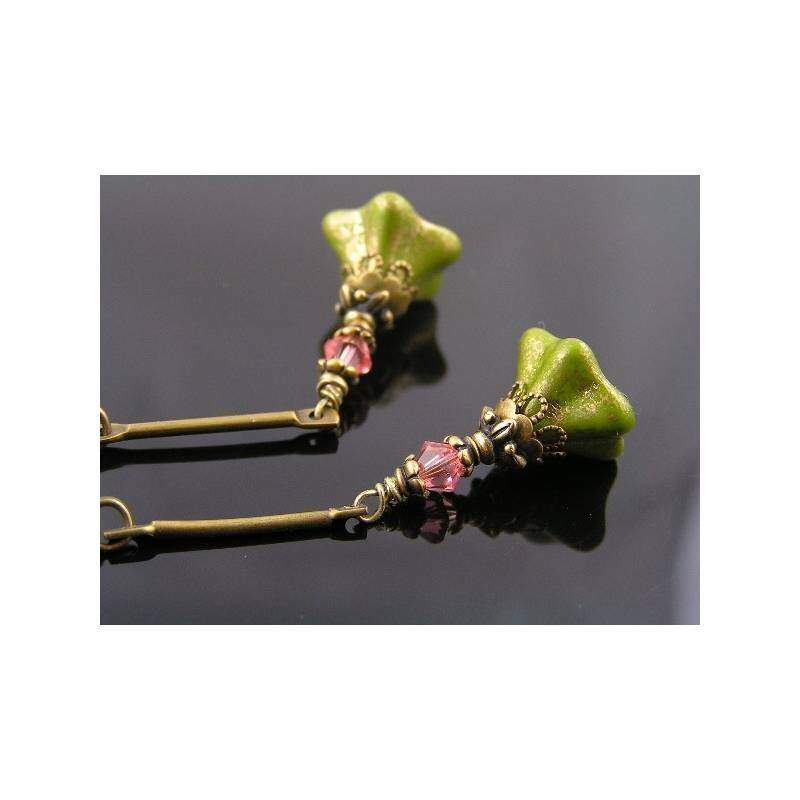 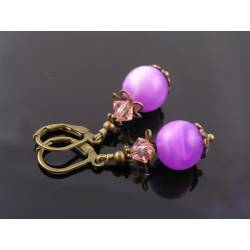 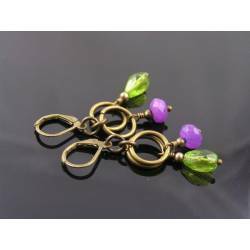 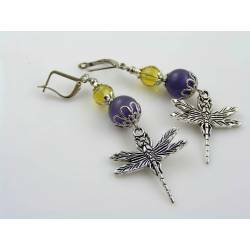 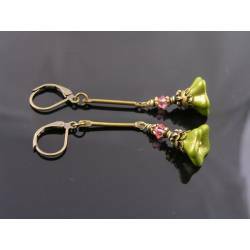 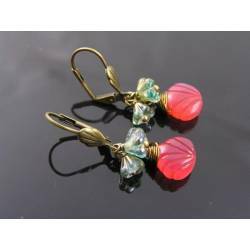 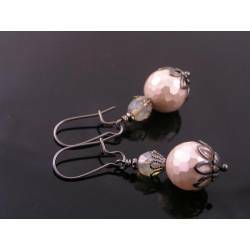 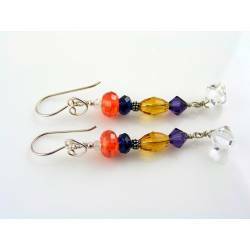 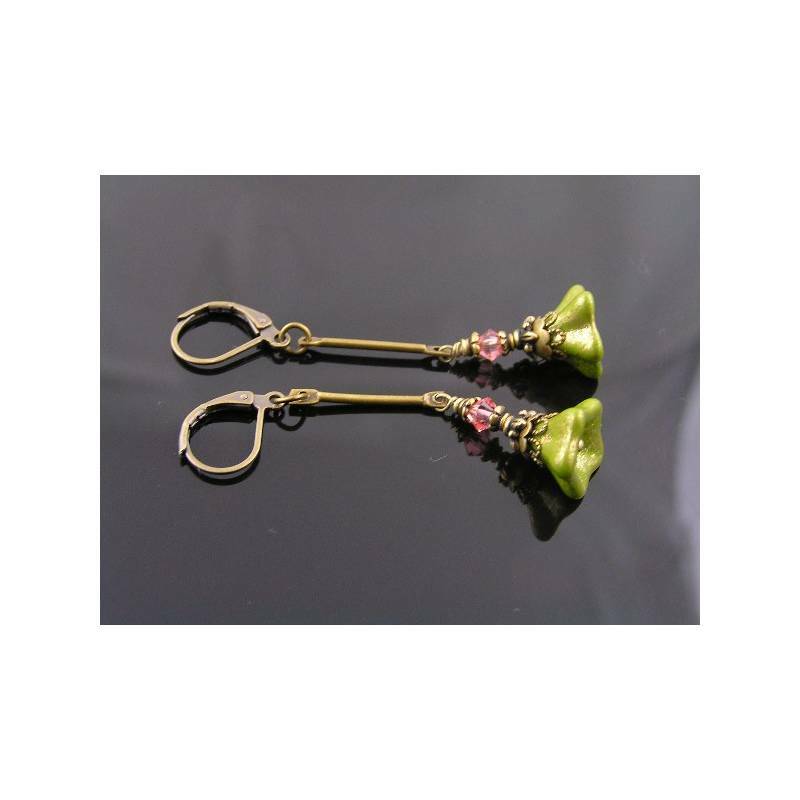 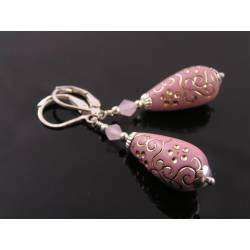 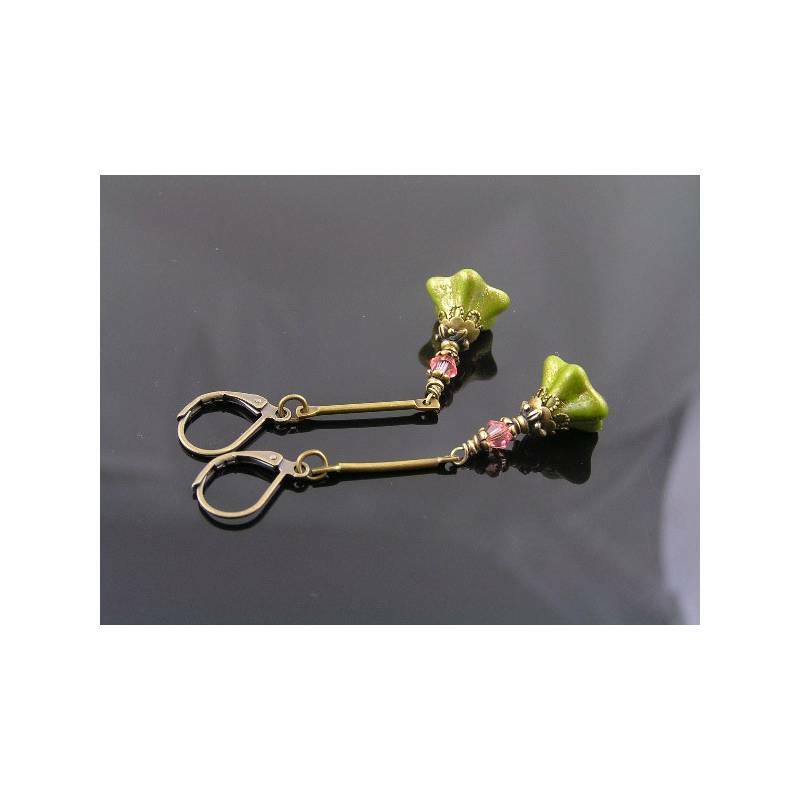 Lovely Czech glass flowers on longer earrings. 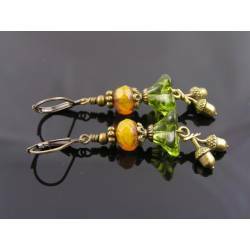 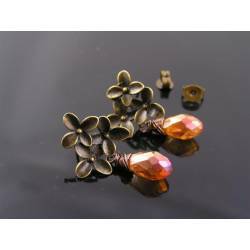 Long and lightweight, these earrings showcase olive green Czech flower beads, capped by several ornate bead caps and topped with a sparkling peach coloured Swarovski crystal. 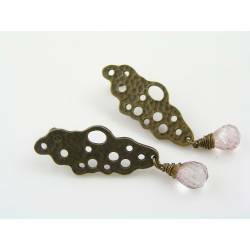 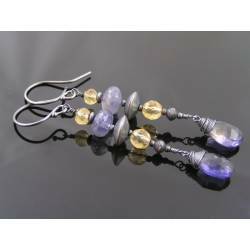 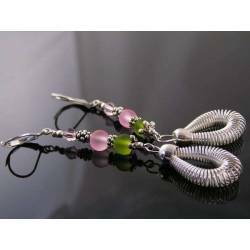 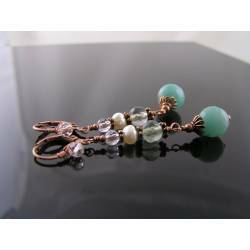 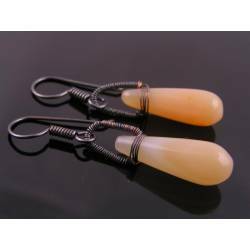 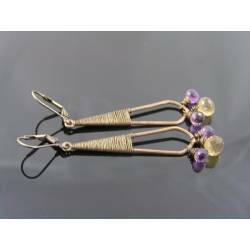 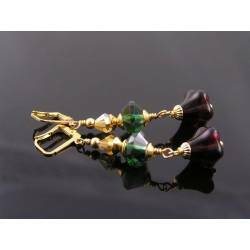 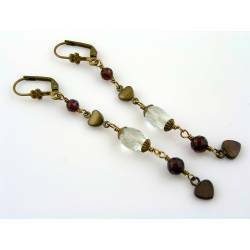 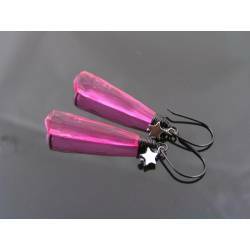 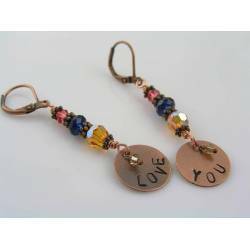 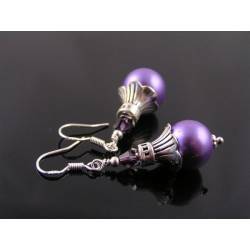 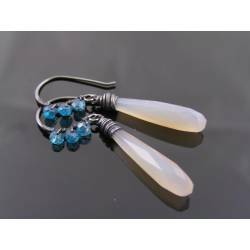 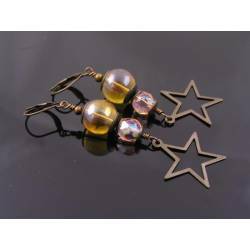 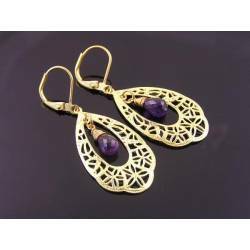 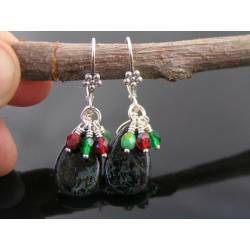 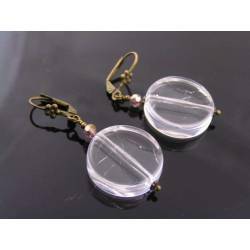 Dangling from a long link and secure leverback ear wires, the earrings measure 6cm in length. 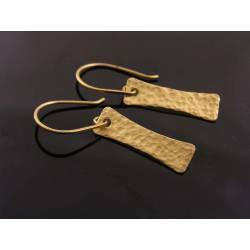 All metal is solid brass and antiqued bronze.